A few weeks ago the sun was shining and the sky was bluer than ever, with fall now here we prepare for darker less brighter mornings. 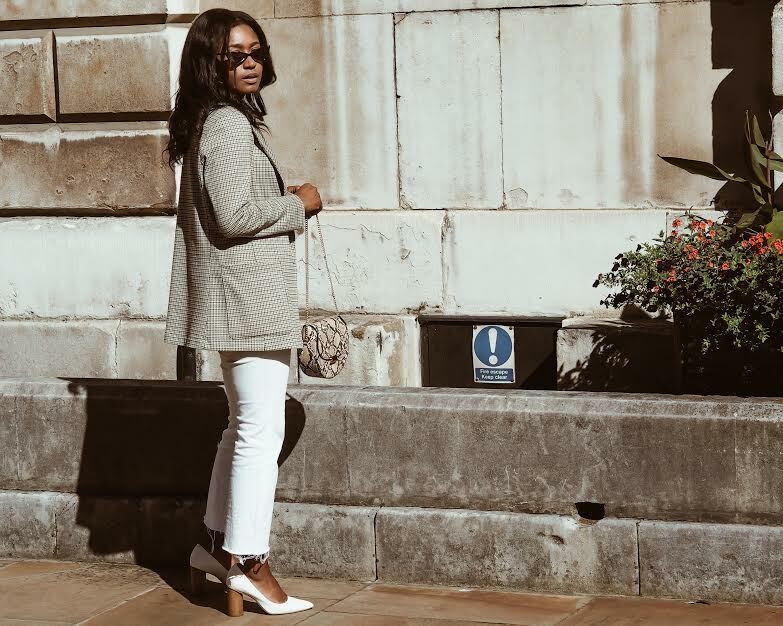 Never one to make colder days shun me from some brighter favourites there is no reason why you can't adapt some few items into your fall wardrobe for work. 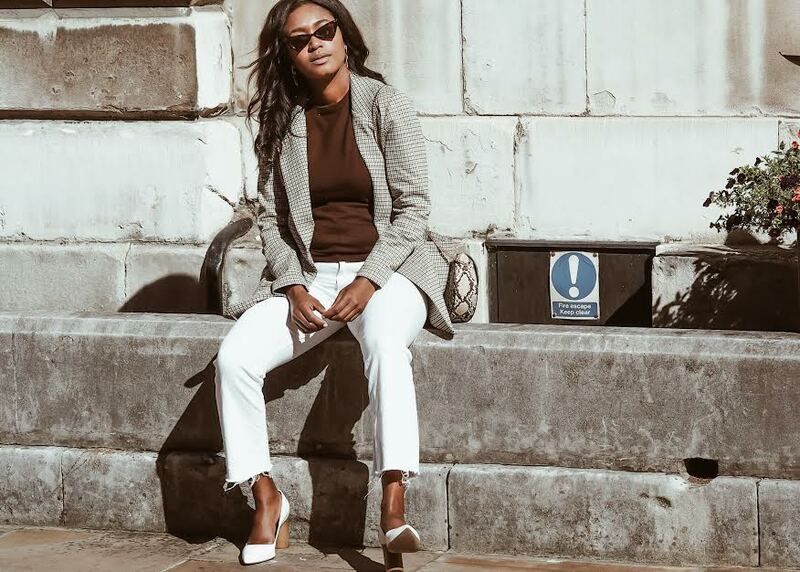 I simply adore a good blazer, be checked, camel to basic black the blazer is not just for work, it can be dressed up for Fri-yay drinks, down for the school run and perfectly goes well teamed with a dress! Just in time for Autumn, I bought this straight cut checked beauty for less than £25. A size up I find is always best, so come later on when it gets really chilly can wear it with a chunky knit. 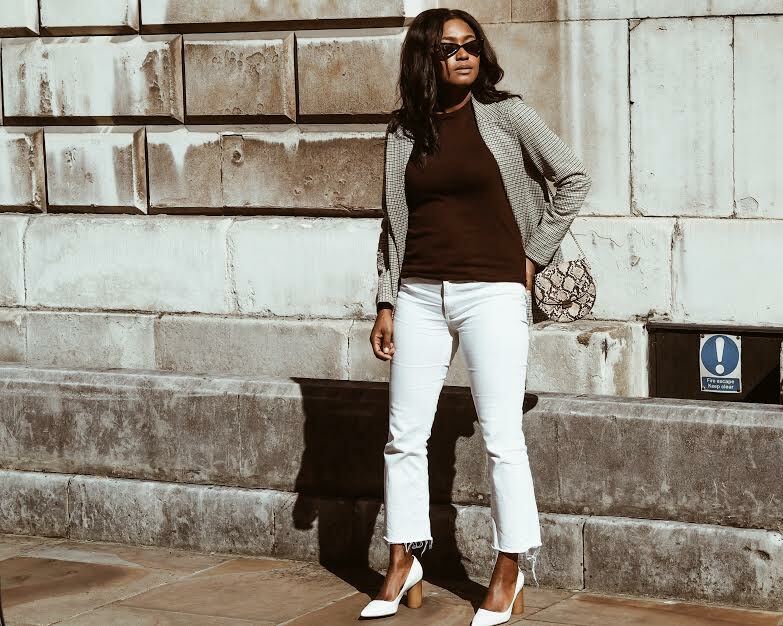 There are endless perfect jeans in life, you just got to know where to look for them, from trusty Topshop, & Other Stories, mango and Zara, whilst depending on where you work and the style, you may be able to get away with a good pair of high waisted jeans, if not opt for a neutral shades of trousers this autumn teamed with some pointy shoes, a blazer and you are good to go. Another big trend to help uplift your trousers is a good belt, you can not go wrong with Gucci. 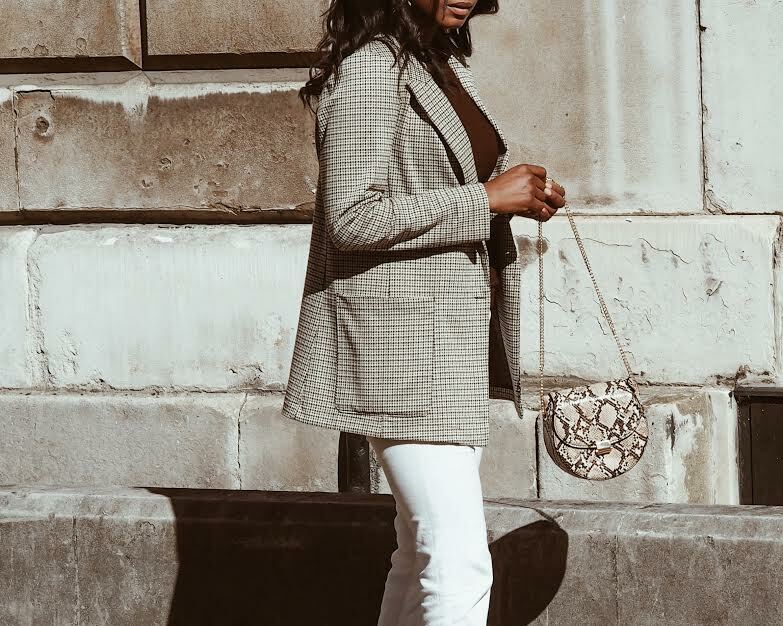 This season it is all about the animal print and this bag, the moment I saw this snakeskin chain bag I just had to have it. Retailers all over are going insane for animal printed items and who can blame them. Now snakeskin, is not the only animal print having a big moment Zebra too, which you may have spotted on my Instagram, tiger and leopard are also in a big way too.